Etsy is a popular e-commerce marketplace focused on handmade and vintage products. 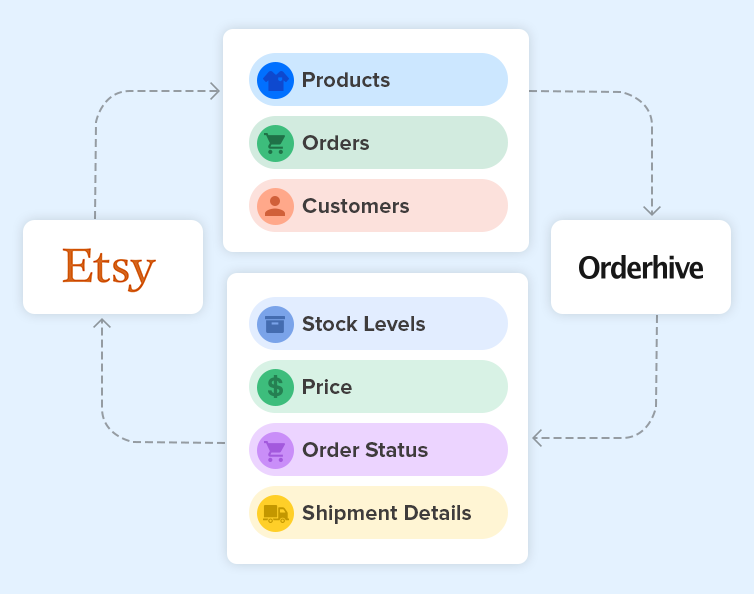 Connect your Etsy account with Orderhive to streamline inventory and order operations. Note: Etsy does not provide SKU field. So, in order to centralize your Etsy inventory with other channels, you need to use Product Merge feature after adding your store in Orderhive.